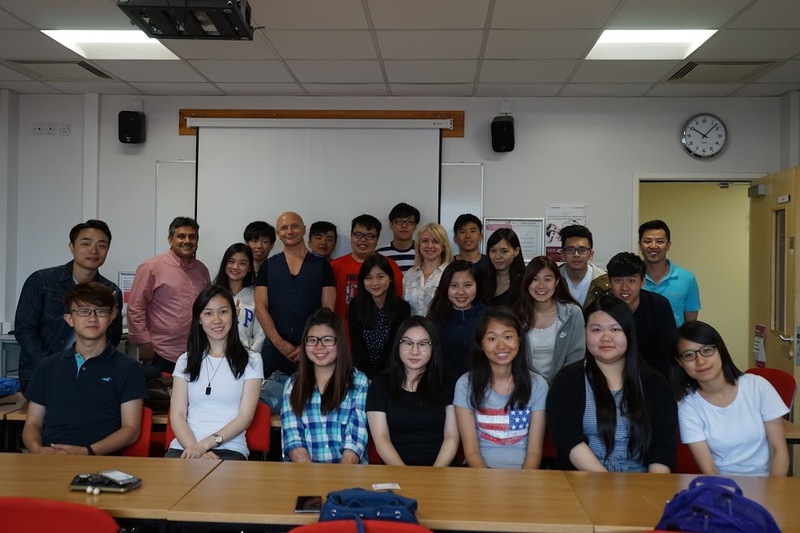 In June 2015 the School of Business at the University of Central Lancashire (UCLan) hosted a 10 day summer camp with 20 students from a partner institution in Hong Kong. The Business School has a long-running, strong relationship with the Hong Kong Institute of Vocational Education (VTC) with many lecturers from the school going over to Hong Kong to teach on their programmes. The camp provided ample opportunities for the students to enrich their learning experience, explore British culture and strengthen their academic skills to prepare for their studies in the undergraduate programmes. The camp consisted of an even balance between academic and cultural activities. In their academic activities the students were delivered informative workshops by UCLan lecturers and staff on subjects such as Presentation Skills, Study Life in the UK and an induction to the award winning ‘Northern Lights’ Business Incubation Unit. These also included student sharing sessions as the students were asked to pre-prepare presentations about their study life in Hong Kong to share with UCLan students and graduates which was a very valuable and inspirational experience for them. Away from academics, the students also had the opportunity to explore the city of Preston and taste a variety of local dishes. As part of the tour they were able to participate in a number of cultural and social visits to famous British cities, landmarks and enterprises and were required to complete a case study on each company within their pre-arranged groups. These consisted of day trips to Manchester, Liverpool and London plus visits to BBC Media City, Manchester United, Blackpool Council and Jaguar Land Rover. The summer camp was a huge success for everyone involved. The partnership between the Business School and VTC is stronger than ever with a second camp being in the initial planning stages for later this year.